You and I both know that bigger government is never a good answer to the problems we face. In fact, government interference is often the source of those problems. The heavy boot of big government stifles the innovation and imagination of hard working Americans across this great country of ours. But when it comes to our healthcare and the healthcare of our families, more government is not just a burden—it is a disaster. Barack Obama promised that Obamacare would make healthcare more affordable. But hard working Americans will be hit with the massive price tag of Obama’s signature legislation: Obamacare includes twenty-one tax increases that discourage new hiring by small businesses, inflate healthcare costs, and increase the financial burden on American families who are already struggling. Barack Obama promised that Obamacare would decrease our national deficit.But even with revenue from one of the biggest tax increases in American history, Obamacare will put us more than $100 billion in the hole. Barack Obama promised that Obamacare would make healthcare more accessible. But, adding insult to injury, Obamacare reduces healthcare choices for you and your family by forcing you to either purchase Obama-approved insurance that may include expensive and unnecessary services or pay a substantial extra tax to the IRS. And it gets worse. No longer will you and your doctor be the only people in charge of making your healthcare decisions. Now the unelected, unaccountable Washington bureaucrats of HHS have the power to ration care for those who need it most through the Independent Payment Advisory Board. Because of Obamacare’s massive increases in regulation and government interference, eighty-three percent of doctors surveyed are contemplating retiring within the next five years. Within the next two decades, Americans will face a doctor shortage in the hundreds of thousands. WE MUST REPEAL OBAMACARE. In 2010, SarahPAC had the opportunity to help elect dozens of strong conservatives to fight for change in Washington, including conservative leaders like Marco Rubio, Allen West, and Renee Elmers. To defeat Harry Reid’s band of liberal Democrats and repeal Obamacare, we need to send reinforcements to Washington. Already this election cycle SarahPAC has contributed to the primary victories of underdog conservative leaders like Ted Cruz of Texas and Deb Fischer of Nebraska. 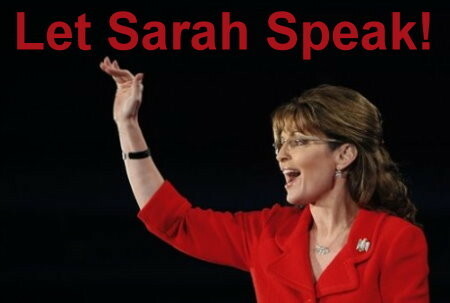 The Palin effect is undeniable and couldn’t be possible without your ongoing support! Your contribution of $25, $50, $100, $250 or more will help SarahPAC turn the tide in Washington and send conservative leaders to repeal the devastating Obamacare legislation! If you agree that Obamacare needs to be repealed, then help us with your most generous donation to help elect real conservatives today!